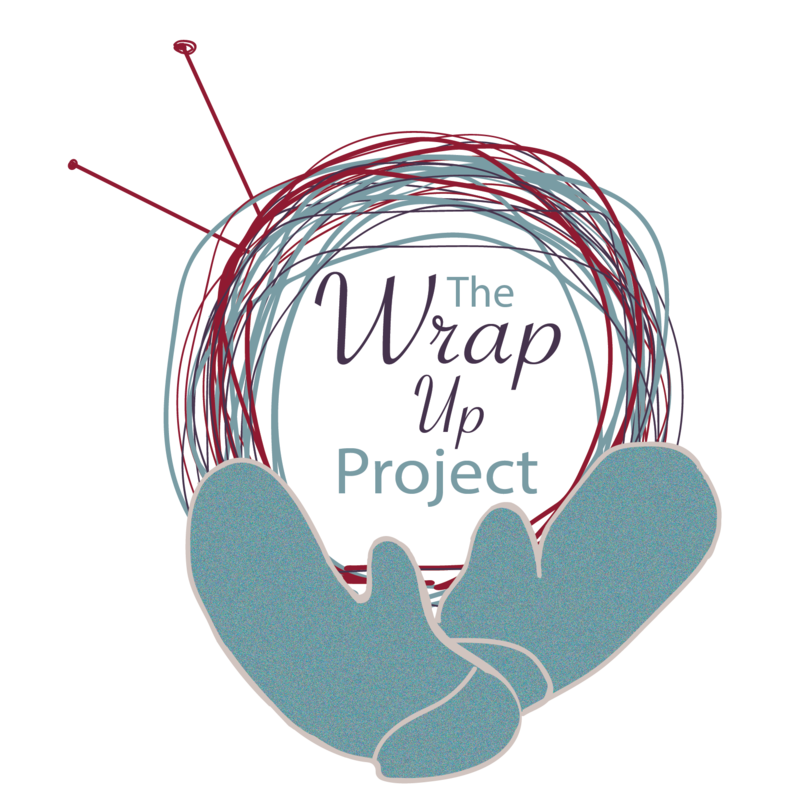 The Wrap Up Project has a new logo! You can see it below and watch for it to pop up all over the website. The new logo was designed by Quinn Waltman, who is a student for the Pennsylvania College of Art and Design located here in Lancaster, PA, USA. Quinn did this as a part of class focusing on designing and donating work to a local community organization as a part of outreach. As always, please connect with us on Facebook and Instagram, so you never miss a tagging party or scarf-bombing in both Lancaster, PA, and Schuykill Haven, PA. We hope to see you at one of our events, soon! Schuykill Haven, PA, USA is now a part of the Wrap Up Project family! On Tuesday, October 17, 2018, a group of knitters, crocheters, and weavers set out to scarf-bomb Schuykill Haven with two baskets full of scarves, hats, and cowls, about 100 items created to keep a new area warm. Lorraine Felker and her group of yarn crafters from the Walk In Art Center Knitters Group in Schuykill Haven made the connection to WUP through charter Lancaster member, Bethany Storms. We are glad to have Lorraine and her enthusiastic group of yarn artists as a part of WUP. WUP founder Angelia Reed, Media Guru Jenn Dixon, and Kyra, who has been at ALL of Lancaster’s scarf-bombings, made the trip up to Schuykill Have to lend support and help out. Check out the photos here of the the event! I relax in the WIAC. WUP items ready to go! Oh, here’s the beginning of something great, as Schuykill Haven gets started with their scarf-bombing. Keep and eye out here for updates on how Schuykill Haven is doing, and also follow WUP on Facebook for how the project is doing in Lancaster, too! It’s shaping up to be an awesome season for both locations! Hi! Jenn here, your friendly WUP media person. I want to apologize for not being more on top of things here, but I have a good excuse: I’ve been sick. I’m not still feeling great, but at least I’m able to update about the most recent scarf-bombing this past January 2017, right? We were at the YWCA in Lancaster, PA, USA, as well as our usual stop at Columbia Presbyterian Church in Columbia, PA, USA. One awesome thing about this past scarf-bombing? WUP was joined by a couple of helpful students from Reidenbaugh Elementary in our efforts. Here they are pictured below. Thanks for your help, ladies! They are members of their school’s knitting club, and contributed to what WUP put out that night, too. Read more about their efforts here, and support them! I’ll leave you with a few more photos from the evening. Be sure to check out the WUP Facebook page to see more videos of the event and to keep up to date on what we’re doing, too! As for me, I promise, I’ll get better soon, and I’m sure many of you out there are going through the same thing with winter illnesses. Be well! Ok, we’ve covered three knitting patterns that would be great for The Wrap Up, Lancaster! Project, but I know A LOT of you out there crochet. If you are stuck in a crochet rut this summer, and need some “scarf-spiration,” here are three great patterns for you. Slip Slope Scarf Pattern: Vashti Braha created this clever crochet scarf using short rows. It’s adorable, and would be great for any crocheter looking to learn a new technique. It’s free on Ravelry! Twisted Crochet Neckwarmer: This crocheted infinity scarf was made by accident by its creator, Anneka Weise over at Crochet in Paternoster. She includes detailed instructions and diagrams in her blog post about her creation. Hop on over there, again, it’s free! 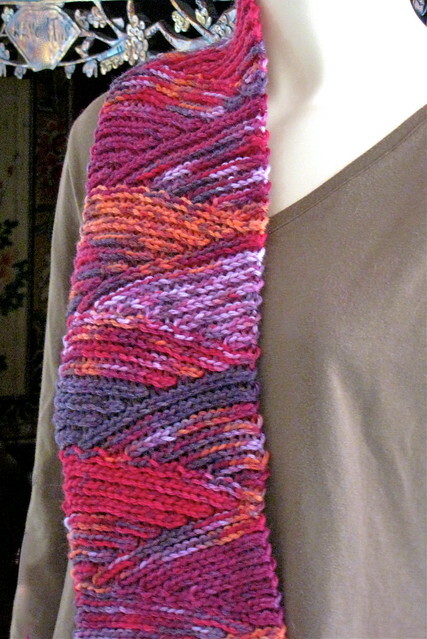 Scarf with Pockets: Why not crochet a scarf that can keep both your neck AND hands warm? I like this clever scarf over on Ravelry by Justine Vo. Again, this would be a great pattern for beginner and veteran crocheters alike! It’s a free pattern, too! So, crocheters, got some ideas? Want to share some here in the comments with us? We’d love to hear from you! Next up, weavers, I know there are a few of you out there who donate scarves to WUL! I will be sharing a few scarf-spirational patterns for you next! Oh, and for everyone, we’ve got a Pinterest board with a lot more great ideas. Take a look and we’d love for your to follow it! Oh, and hey! Don’t forget about The Big WUL Giveaway: Take 2! The Big WUL Giveaway: Take 2 ends at MIDNIGHT JULY 8, 2016!!!! You only need to comment to enter! There are two other ways to get additional entries, as well. The Big WUL Giveaway: Prizes! The prizes are rolling in for the The Big WUL Giveaway! Here they are, along with the donors. Karaoke Yarn (South West Trading Company) 50% soy silk, 50% wool – 50gram/skein. Donated by Flying Fibers, Landisville, PA.
Cotton Supreme Yarn (Universal Yarn Inc) 100% cotton – 180yd/hank. Beauty Basket by My Beauty in a Bottle – Made right here in Lancaster, PA! Reiki Session by SuperNatural Well Being, LLC. $25 gift certificate to Citronnelle Restaurant (Lancaster, PA). Wrap Up, Lancaster! totes and t-shirts! Enticing stuff, right? Click here for instructions on how to enter!